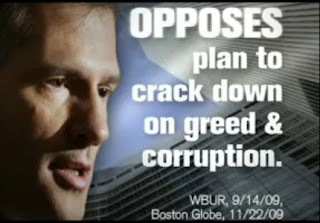 Directly affecting healthcare stocks (eventually) is the election to replace Ted Kennedy in the Senate. 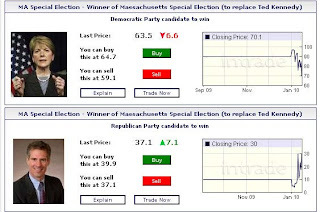 Last time I noted it, Coakley's contracts on Intrade were selling at 82, suggesting an 82% chance of the Democrat winning. According to the National Review, the campaign has removed the ad. "Meanwhile a DSCC spokesman is saying the image shouldn't have appeared in the ad and that it is being pulled."